Royce Brazier only cares about success—until he meets his new event planner. Now he can't get his mind off the woman behind the scenes—even after meeting her adorable adopted daughter. This self-made billionaire isn't a family man…or is he? #2544 EXPECTING THE RANCHER'S BABY? Of all the doctors to be hired at Houston Calloway's ranch, it had to be the infuriating Jillian Amherst. Too bad that working closely together has them setting off sparks…and leads to a little surprise! 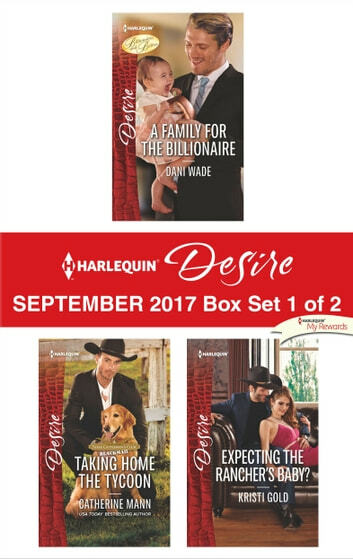 Look for Harlequin® Desire's September2017 Box Set 2 of 2, filled with even more scandalous stories and powerful heroes!